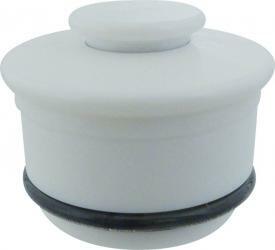 This carboy cap is specifically made to fit standard 6.5 gallon glass carboys. It is often used to to prime a 3/8 in. OD racking cane by putting the racking cane through the center of the cap and blowing into the longer side tube. 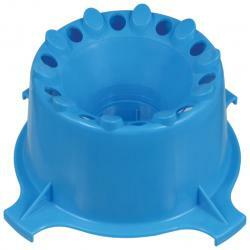 It can also fit airlocks, or be used as a blowoff assembly by attaching some 1/2 in. ID tubing to the center hole. Handy in most any situation! NOTE: This product used to be a burgundy color, but has been changed to blue! 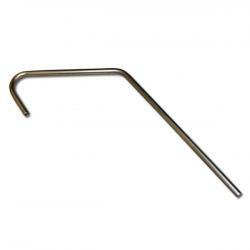 Tired of dealing with clogged airlocks, or replacing hard-to-clean tubing on your cobbled together blowoff assemblies? Great Fermentations is proud to bring you stainless steel blow off tubes! 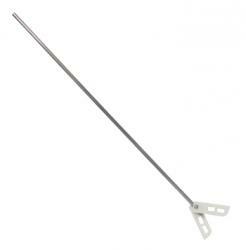 These are made of high-quality stainless steel, which is more inert and easier to clean than plastic. This makes it the perfect solution to all of your blow off problems! 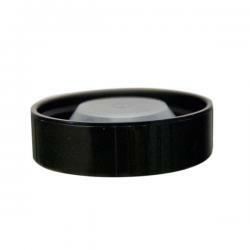 A 3/8" diameter means that it will perfectly fit universal stoppers or standard drilled stoppers. This stainless blow off tube with also fit the grommet on the larger 7.9 gallon capacity wine fermenting buckets, as well as the standard 6.5 gallons capacity beer fermenting buckets. No refilling your airlocks, easy-to-clean, and reuseable...Get your stainless steel blowoff tubes today! 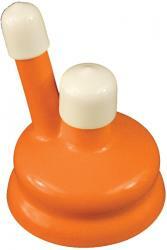 Having trouble getting all the gunk and dried krausen off of the necks of your glass carboys? 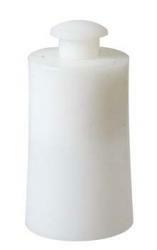 A carboy brush is your solution! 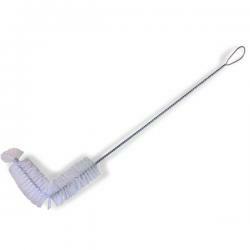 This brush is curved in order to reach the walls and neck of a carboy, ensuring you can scrub every inch. 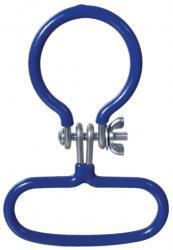 A must-have for anyone with a glass carboy! We all know that temperature plays a critical role in making good beer, but we also know that maintaining temperature can be challenging - sometimes an effort in futility depending on where you live. That is where the team at Cool Brewing comes in. 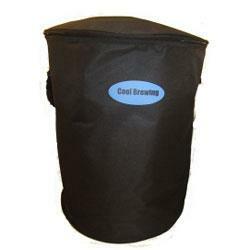 The Cool Brewing Bag is an inexpensive and easy solution for maintaining your fermentation temperatures. 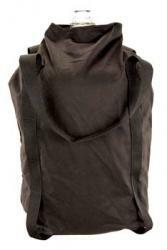 The bag is designed for standard fermenters and carboys up to 6.5 gallons: simply place your fermenting vessel of choice in the Cool Brewing Bag, add frozen 2 liter or 1 gallon bottles full of water (Every 2 liter container of ice that you add will help to drop the temperature in the Cool Brewing Fermentation Cooler by 5 degrees Fahrenheit), and switch out every 24 hours. It's as simple as that! The Cool Brewing Fermentation Cooler can effectively work to control temperatures down to 30F below ambient temperature. No big and expensive chest freezer and no need for cleaning up a giant mess from a swamp cooler. The Cool Brewing Bag is sealed, insulated, and 100% waterproof. 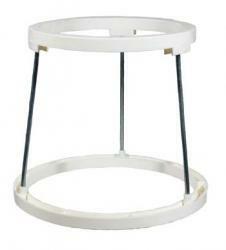 As it is a contained system, it can also prevent harmful UV rays from reaching the beer in your clear carboys. It's eco-friendly, too! Folds up nice and easily too for storage. 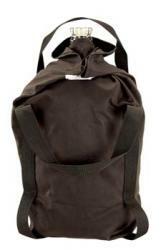 The Cool Brewing Bag is great for keeping kegs cold for serving too, and is great for camping! 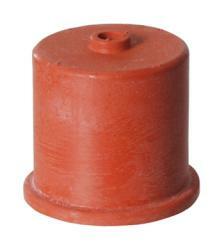 These poly screw caps are plastic caps for 1/2 gallon and 1 gallon jugs. 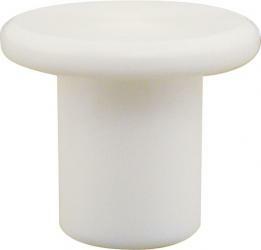 They have a flexible plastic inner body that creates a better seal than standard metal screw caps. 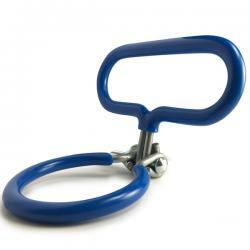 They are ideal for growler fills or keeping wine in jugs! 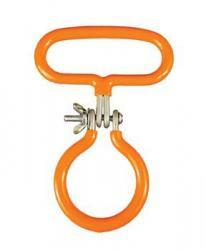 The orange carboy handle is designed to fit on all standard 3, 5, and 6 gallon glass carboys. 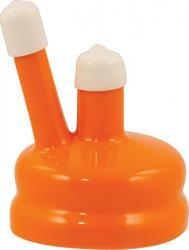 It gives you a handle by which to easily carry your carboy. Very handy when your work is done in the kitchen or the garage, and your fermentation space is in the basement or hall closet! 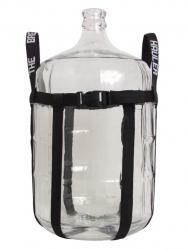 Save yourself the time and hassle of wrestling with carboys with a simple carboy handle today! NOTE: These are not designed to carry a full carboy! If your carboy is full, this handle can act as a means to help you brace the neck area of the carboy, but the main weight should be held at the bottom of the carboy with your arms or other carrying device! 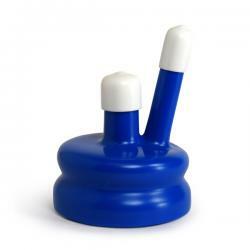 The blue carboy handle is designed to fit a standard 6.5 gallon glass carboy, and makes carrying your empty carboy a snap! 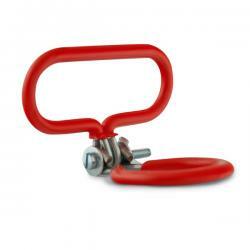 Instead of wrestling with the carboy, simply attach the handle and lift to your chosen location. A must-have for people who do their beer or wine work in one location (such as a kitchen or garage) and ferment in another!